" I have enjoyed this mask because I read before I go to sleep. I like that there are no hoses that run between my eyes. " " I bought this mask because it does not cover my eye area and I love to read and sometimes watch TV while I am in bed. It is also very easy to ajust! " Two-Layer Cushion. The mask features Mirage's dual layer cushion technology that uses two layers to achieve a comfortable, secure seal. 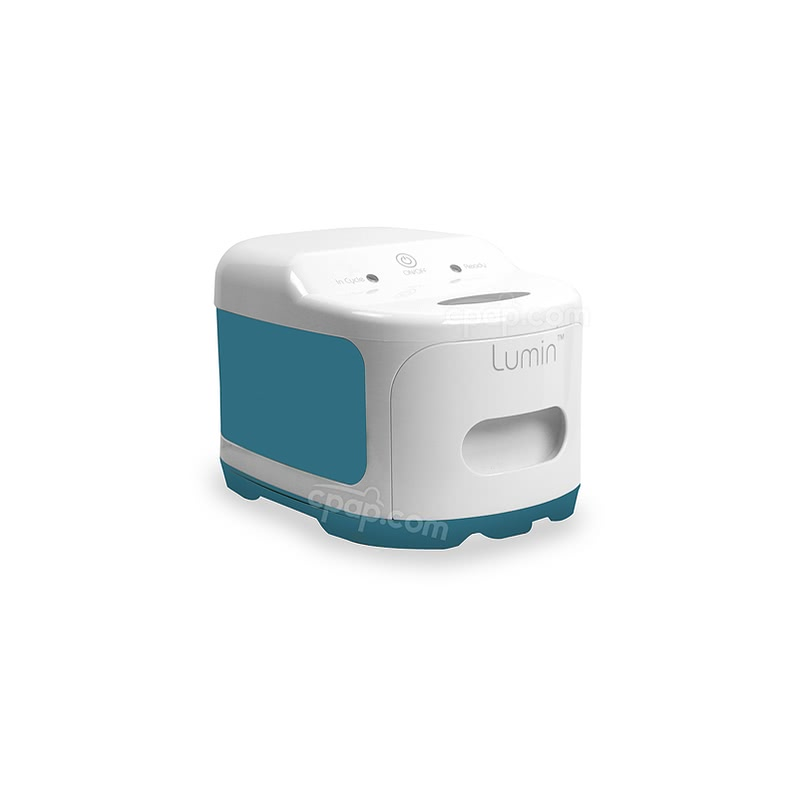 The cushion is designed with an inner layer for support and stability. 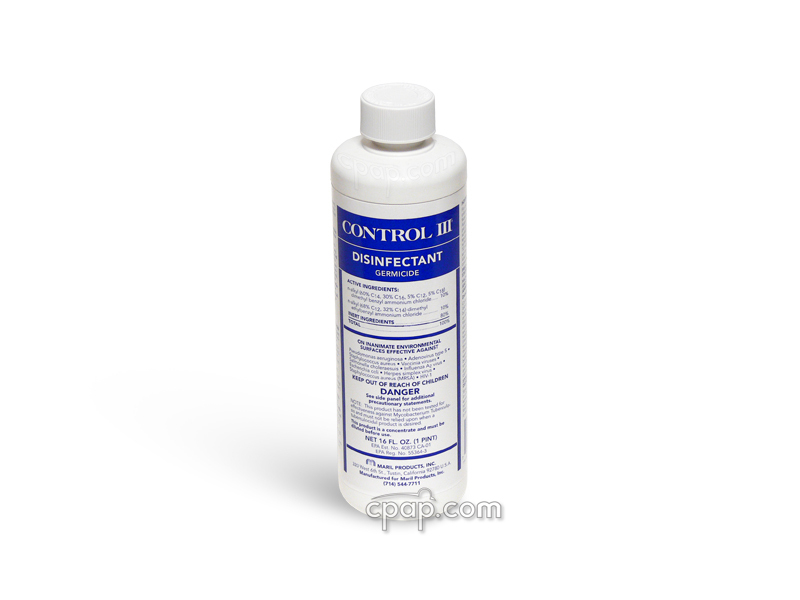 The outer layer is a softer silicone membrane that reduces mask leaks and helps prevent pressure sores. 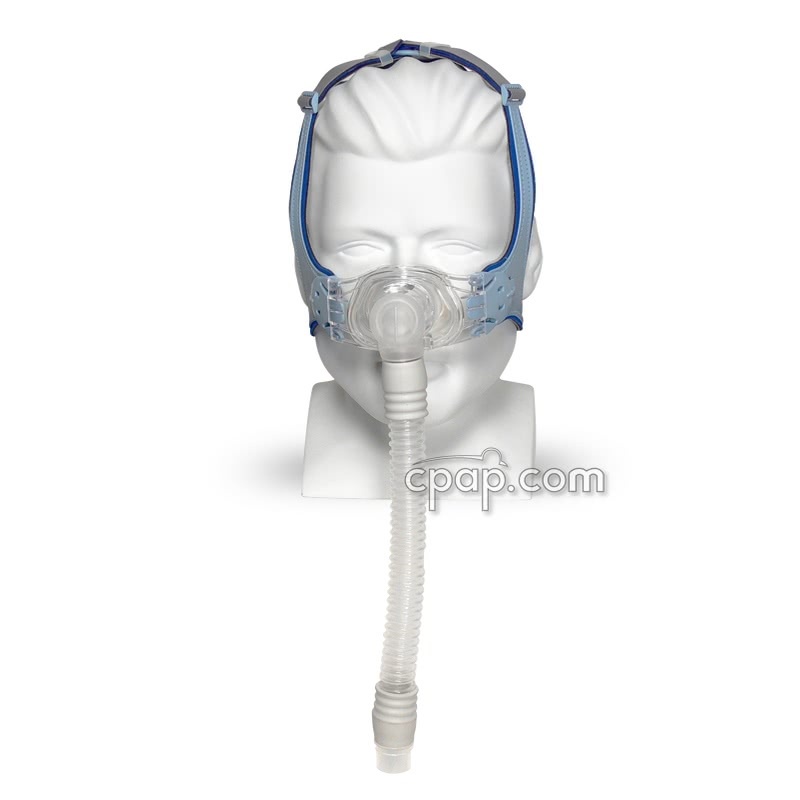 Once in use, the mask inflates and forms a seal with no need for over tightening the headgear. The cushion attaches to the frame without the need of a clip. The One Snap 360 Elbow. 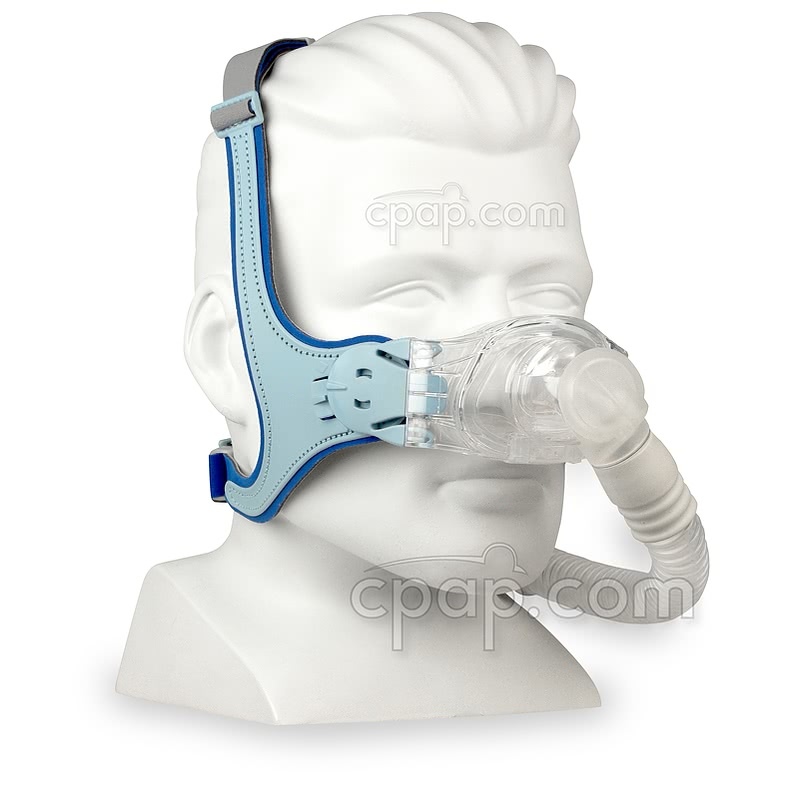 The mask includes a removable elbow that allows the user to detach the CPAP tubing without removing the mask. The elbow swivels a complete 360 degrees to minimize leaks and reduce headgear tension. Easily Adjustable Headgear. 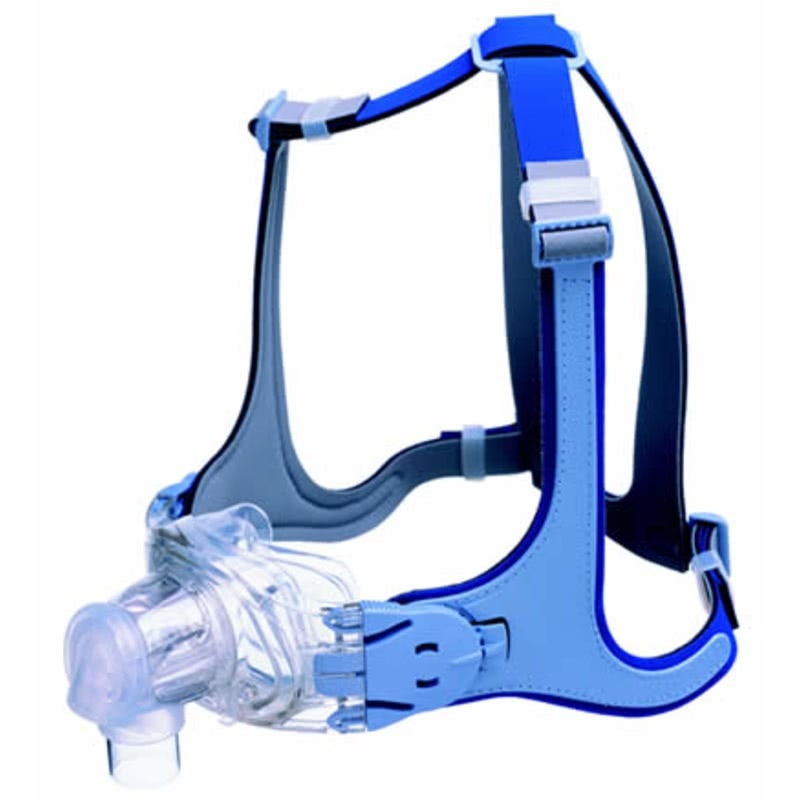 The Mirage Vista comes with a Fit Angle Selector that helps the user to select from five symmetrical headgear angles and twenty asymmetrical positions for greater mask stability. Headgear Quick Clips. 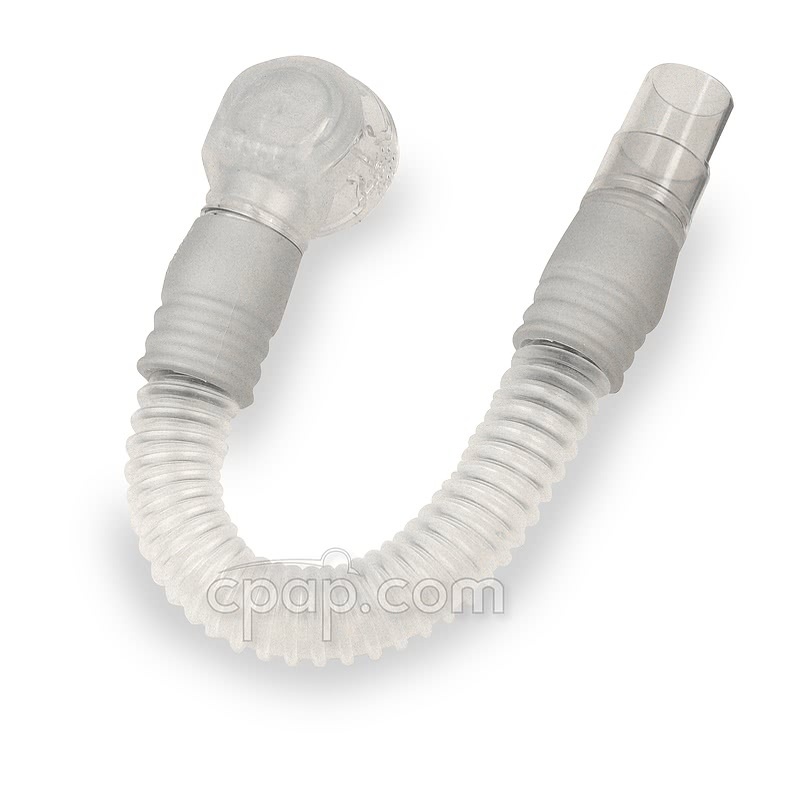 Once the headgear is set, the quick-release headgear clips make mask removal simple and prevents the user from needing to re-fit or re-adjust the headgear. Compact Design. 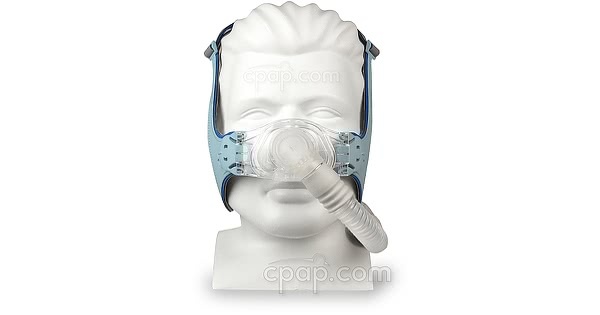 Without a forehead support, this mask allows unlimited patient visibility for reading or watching television before going to sleep. ResMed also provides a printable sizing tool that has cut-outs with sizes for the Mirage Vista Sizing Template. We use the standard mask on difficult to fit patients that do not have very pronounced nose bridges or very large or small noses. We use the deep mask on difficult to fit patients that also have large bridges (significant protruding bone between the eyes). Avoid use on large or small noses. 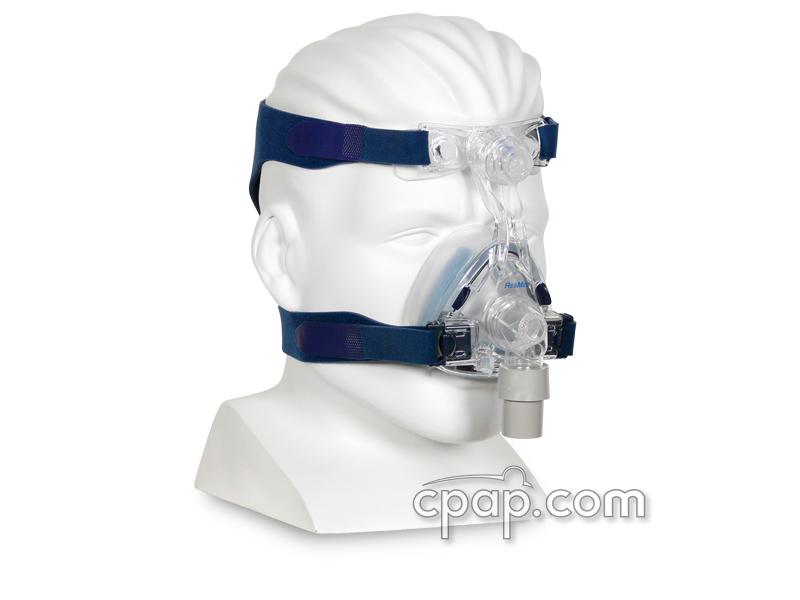 The Mirage Vista™ Nasal CPAP Mask frame has only one size that fits all cushions and is not labeled. The Mirage Vista™ cushion is replaceable and comes labeled. When examining the front of the mask, the size is printed on the left side of the cushion. 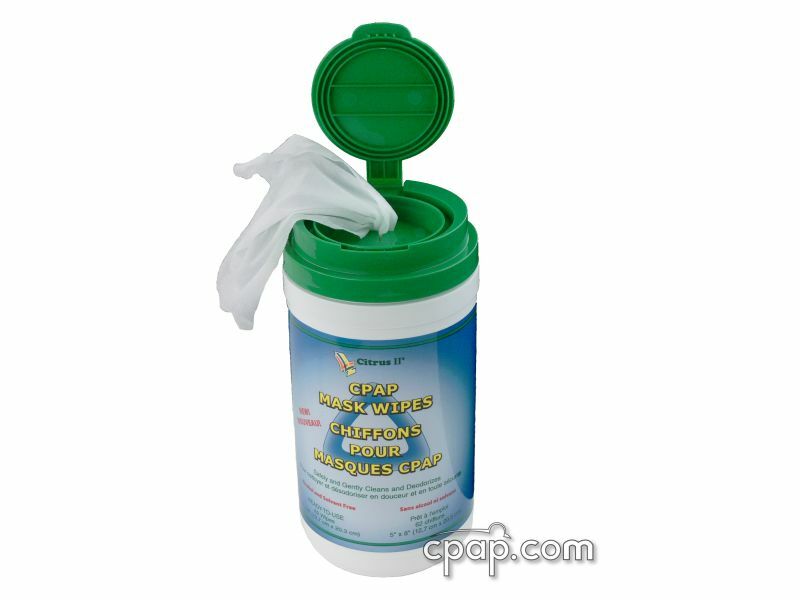 The manufacturer recommends the mask cushion should be cleaned daily using warm soapy water and rinsing well. Allow to air dry out of the sunlight. The headgear should be washed weekly in warm soapy water using a mild household detergent, rinsed well and allowed to air dry out of sunlight. 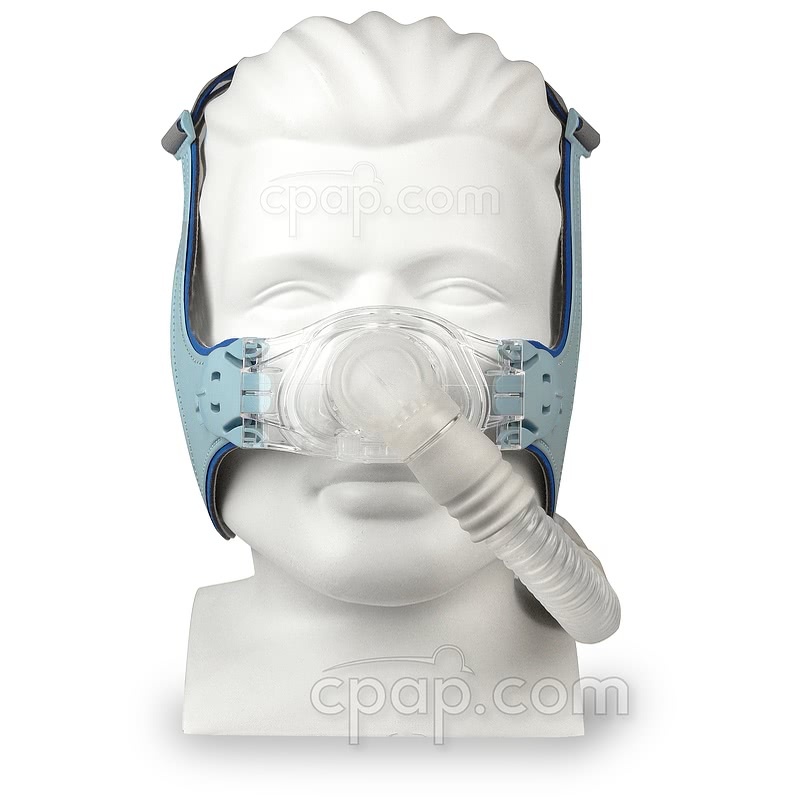 The manufacturer of the of the Mirage Vista™ Nasal CPAP Mask notes that the dye used in the headgear may run the first time it is washed.